The first Kalamazoo Christian school was established in 1877 by the Walnut Street Church of Kalamazoo. Several other Christian elementary schools soon followed over the years, and eventually the first Christian high school was established in 1939. 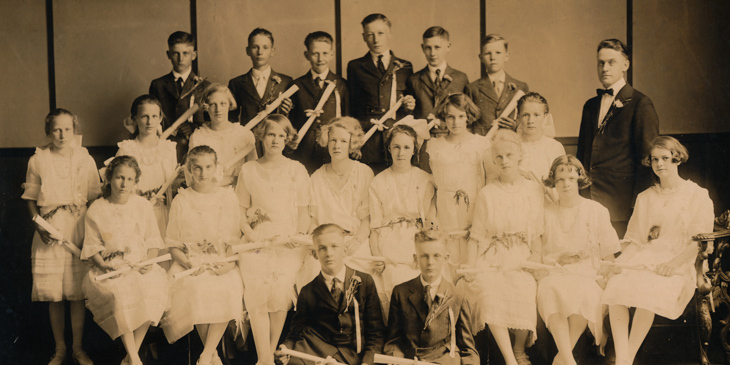 Increased support for private Christian schools within the Kalamazoo area led to the establishment of the North, South, and East Christian Elementary Schools as well as Kalamazoo Christian High School over the next few decades. Finally, in November 1992, the Kalamazoo Christian School Association (KCSA) was formed, which linked all of these schools together to better serve the educational needs of parents wanting a Christian education for their children. Over time the smaller elementary schools were consolidated into one regional Elementary School on the 94-acre 12th Street Campus, and in 2013 a new Middle School facility was also constructed on that campus, so that grades PreK-8 are located at our 12th Street facilities while the High School and district Association Office are located at our Stadium Drive campus. Throughout these changes, KCSA has remained committed to preserving an academically excellent Christian education for each and every student within their schools.